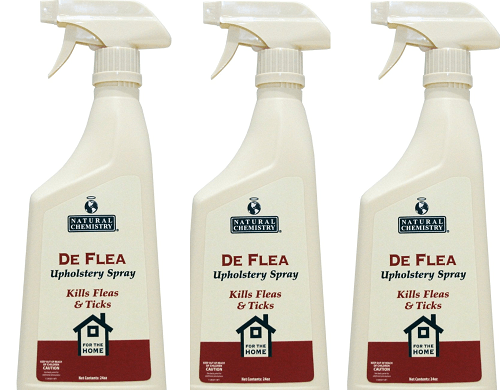 Getting rid of the fleas on your pet, and in your home requires a well rounded approach. The first step is bathing your pets with a high quality flea shampoo and killing the fleas that are living in your pet’s coat. Once that’s done, though, you need a second line of defense that’s going to make sure the fleas don’t come back. The topical flea control solution that’s recommended by vets around the world is Frontline Plus. Frontline works when it’s applied to the back of your pet’s neck, and just above their tail. When applied properly, it will blend in with the natural oils that are secreted by your pet’s skin, and coat their body in an invisible armor. As a flea bites down on your pet, they become sterilized, making them unable to reproduce. They also take in a small dose of Frontline which causes them to hobble off, and die, instead of continuing to grow the infestation. 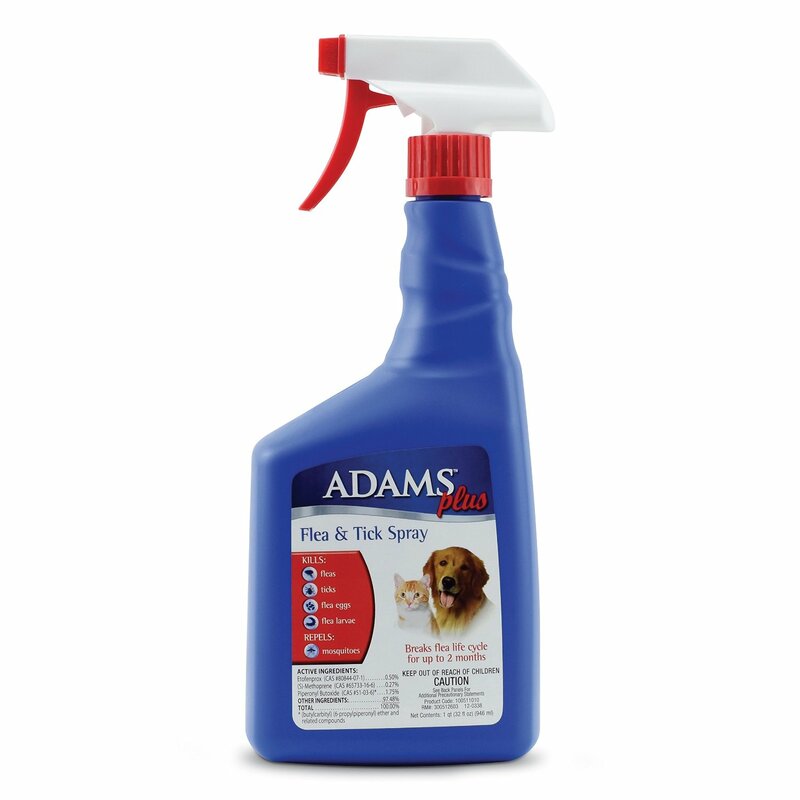 It’s an excellent backup method for helping not only get rid of fleas that may already be on your dog, but preventing them from coming back for the next 30-45 days. 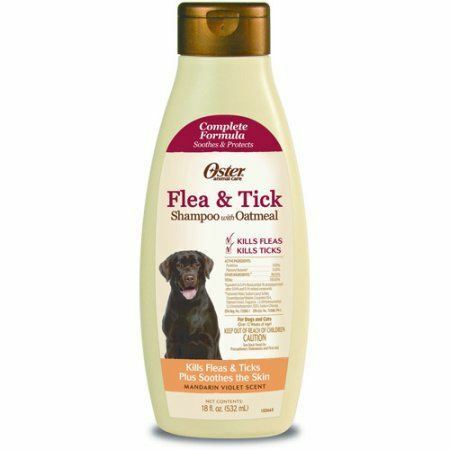 Controls Feas, Ticks, and Lice: When you have a problem with not just fleas, but also ticks and some forms of lice, you need a product that’s going to be able to handle them all. Frontline is a great preventative measure for keeping them from coming back. 3-month Supply: When you order Frontline, you’ll be sent 3 applicators. 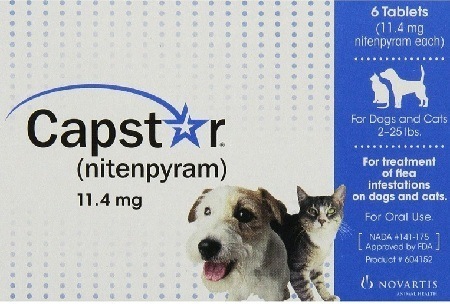 Each applicator is intended to protect your pet for at least 30 days, and are easy to apply. Works for Dogs of All Sizes: Whether you have a young puppy, or an older dog that weighs more, Frontline is effective on pets of all sizes, and will not harm your younger dogs. Easy Application Process: Snap the top off, and aply a small portion to the back of your pet’s neck, as well as the base above their tail. 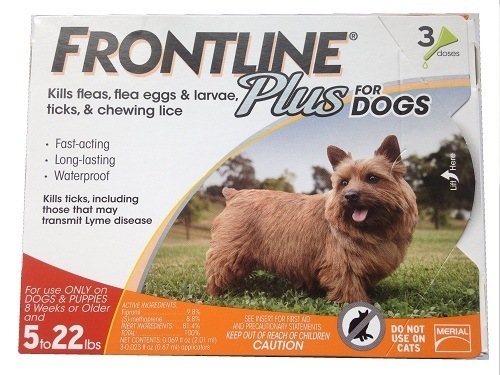 Works for All Life Stages of Fleas: Frontline works by sterilizing the adult fleas whenever they bite your dog. By becoming sterile, they can no longer reproduce, and the life cycle is interrupted. Then, as new eggs and larva grow into young fleas, they repeat the process by biting, and becoming sterile. Must be reapplied when you notice fleas again: Frontline works great as a preventative measure, but you must keep an eye on when the fleas are coming back, and reapply it as necessary. Can leave an oily spot on some pet’s coats: Some coats, such as your German Shepherd, may have an oily spot for a few days after the initial application. It’s advised to avoid touching these spots, until the solution has had time to work it’s way into your pet’s coat. Requires a backup measure to completely get rid of fleas: Before you apply Frontline, it’s advised that you give your dog a good flea bath to kill off the initial infestation. Frontline has worked for years, and continues to work when it’s used properly. After giving your dog a good flea bath, apply Frontline to the back of their neck, and base of their tail, and then give it a few days to begin working. Pay attention for a few weeks after you’ve applied it, and watch for any fleas to start coming back. When this happens you know Frontline is losing it’s effectiveness, and should be reapplied. When Frontline is applied, it gives you a long lasting defense against fleas in all stages of their life. To order Frontline and protect your animals for 30 days at a time, click on the button below.